If homeownership is in your future, then you’re no doubt saving for a down payment. 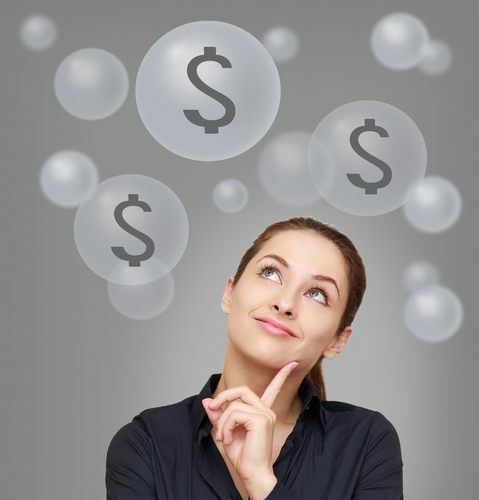 While the Internet is full of practical advice about how to save money for a home, how do you cultivate a mindset that makes your financial goals possible? Do you let your own thoughts deter you, thinking that you’ll never save enough? Changing this way of thinking is an integral part of realizing your dreams. Here are four ways to invite prosperity into your life when you’re saving for a home. Online banking and automatic bill pay make it easy to lose track of where your money is coming from and going to. The first step in realizing your financial goals is to rack your income. Instead of seeing personal money management as a chore that must be endured, think of it as a reward for your hard work. Be intentional about how much you’re putting away for a down payment, and let yourself enjoy watching it grow. Instead of thinking that you still don’t have enough saved, learn to see each increase as getting one step closer to your goal. Another important step in practicing prosperity is to spend time each day visualizing what prosperity looks like to you. Imagine finding your ideal home, purchasing it, and moving in. What does your new home look like? How does it make you feel? Spend time looking through online listings and driving through neighborhoods with beautiful homes. Instead of seeing these places as out of reach, what if you instead silently congratulated the homeowners for creating that reality for themselves? Visualizing prosperity for yourself and celebrating it for others can be a powerful motivator. One of the most crucial ways to create prosperity is to really pay attention to your words. Focusing on the negative will attract more of the same into your life. Instead of bemoaning your debt, think of that debt as past expenses that allowed you to get something you needed, like an education or even a medical treatment. Instead of telling friends you can’t join them for a night out because you can’t afford it, reframe your response in the affirmative. Tell them you can’t join them because you’re saving for a house. Small daily changes in the words you choose to describe your life are incredibly impactful. Finally, you will welcome more prosperity into your life if you are grateful for all that you have and receive. Don’t think of it as “just a dollar.” Celebrate that dollar, and each dollar that comes your way. For some, wealth comes as an avalanche, like getting a big inheritance or winning the lottery. For others, wealth comes slowly, built one dollar at a time. If you begin to recognize and be grateful every day for what you already have, you will become more empowered to continue. While these methods can’t substitute for a solid and actionable plan to reach your financial goals, they can be a wonderful complement. Use these four practices to increase your prosperity and realize your dreams of homeownership.